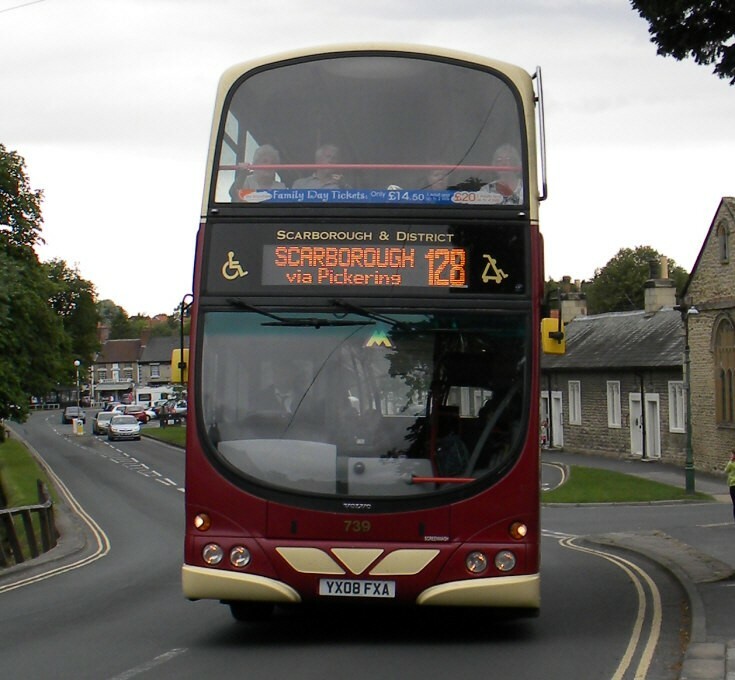 Red and cream double decker bus YX08FXA seen in service on line 128 Scarborough via Pickering (seen at Thornton-le-Dale, North Yorkshire). This Volvo B9TL was built 4/2008 for East Yorkshire, fleet number 739. Added by Tom on 13 August 2010.